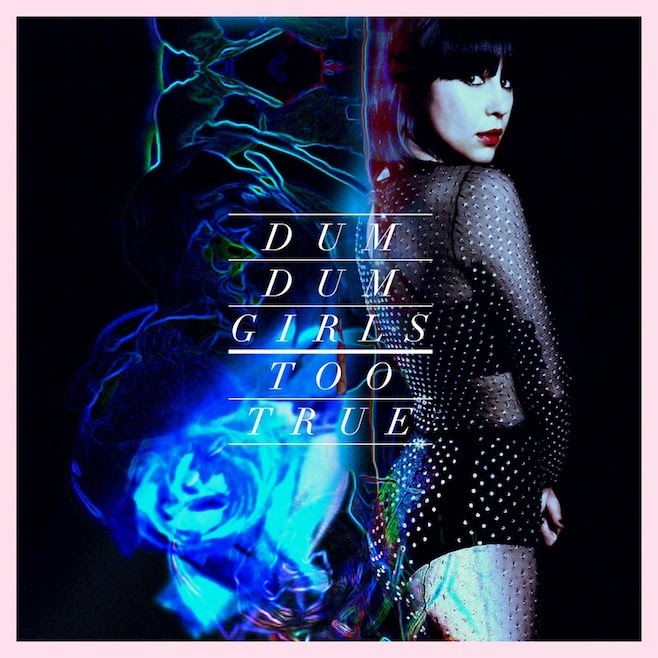 Dum Dum Girls are nothing if not consistent. The band has always managed to produce stylish easy on the ears indie rock with seemingly little effort. There's a slickness to most of the tracks that will give your life some added oomph. The album opener "Cult of Love" has a formidable whoosh that gets things started right. The standout track is undoubtedly "Rimbaud Eyes". A compressive drum line propels the song onwards beneath an already delicious hook. The tempo gets turned down for a handful of tunes. In the case of "Lost Boys and Girls Club", it provides a methodical, ominous effect. For the closer "Trouble Is My Name", it is more of a lament. However, it leaves "Are You Okay?" without any fire at all. Many of the songs begin to blend into one another though. With the exception of the odd extra tumble here, or the slightly more angular edge there, you may very well find yourself three or four songs farther along than you thought before you realize the record is passing you by. Too True is the kind of album you can throw on in the background for almost any occasion. It'll work at a party, it'll work while you're preparing a family dinner. It will never jar you and interfere with what's going on. Dum Dum Girls play Lee's Palace in Toronto on March 29th. Best tracks: "Rimbaud Eyes", "Little Minx"